Don’t lose faith, Internet skeptics: today’s adorably viral story is real. There really is an Australian charity called The Penguin Foundation, created to help protect our favorite flightless birds. They really do need to raise funds. And they really do want you to send them sweaters knitted for penguins as long as you pay the considerable shipping fees. They provided the picture in this post, in fact. Still not sure? The Oregonian has a helpful true/false guide. Yes, there was another, eerily similar viral story in 2011. In that case, the charity got too many sweaters! Got it? 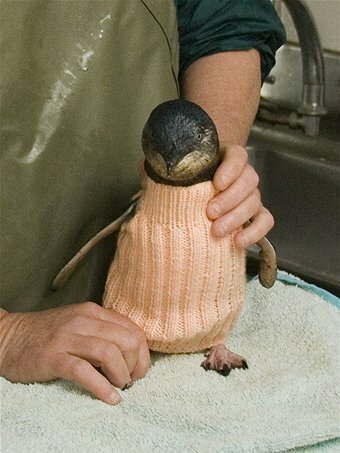 And in case you’re not a knitter, you could always just adopt a penguin. This has been today’s lesson in playing off an old, too-crazy-to-be-true viral story to create your own viral story. And raise money in the process.